There were 9 press releases posted in the last 24 hours and 152,652 in the last 365 days. 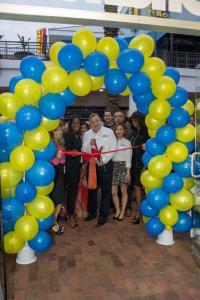 Tourists are discovering they can accentuate their vacation and revitalize themselves at the all-new Welcome Center at Pointe Orlando. ORLANDO, FL, UNITED STATES, November 2, 2018 /EINPresswire.com/ -- For many years Pointe Orlando has been THE destination in Orlando known for the towering palm trees that dot the landscaped walkways, amazing eateries, fine dining restaurants, entertainment venues and specialized shops nestled in among the fountains and sun-dappled squares. There's always been something going on. Whether it was live music, the hottest movies (as well as an IMAX theater), and an upside-down mansion called WonderWorks there has always been something for everyone at Pointe Orlando. 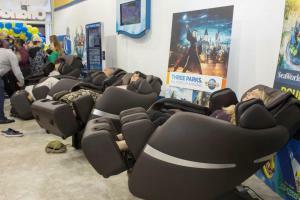 NOW FOR THE FIRST TIME EVER, Pointe Orlando is home to the WBMC massage chair experience featuring the World’s Best Massage Chairs inside of the new Welcome Center sponsored by I-TOUCH ORLANDO, EXPEDIA, WDW, and SEA WORLD. The Brio is fully programmed with ten expertly choreographed massages, the Brio also offers hundreds of manual massage combinations to provide customized relief. With Brio you can quiet your body, clear your mind, and loosen your muscles…and do it all from the comfort of your own home after your vacation experience in Orlando has ended. A five-year Nationwide in home service plan covering parts & labor is included for total peace of mind. Also, during the holiday season the in-home White Glove setup is offered complimentary- a $450 savings! Visitors to the all-new Welcome Center at Pointe Orlando can not only accentuate their vacation and revitalize themselves they can order the Brio with exclusive special Welcome Center ONLY offers not found in retail stores. The Brio is available at $4,999 USD for Continental USA delivery only. Consumers with Freight Forwarder’s may arrange for international shipping if desired.